We are honoured that Karen A. Greenaway, former FBI supervisory special agent, joined our Supervisory Board! She has been an investigator, case agent and supervisor with the FBI for over 22 years. She has investigated money laundering, complex financial crimes, violent crimes and international corruption. 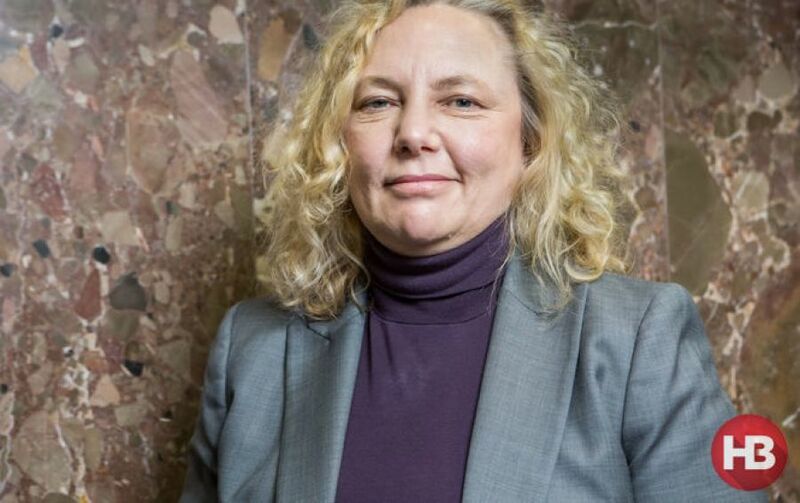 She has supervised teams of investigators, analysts and forensic accountants, leading and mentoring them to successful outcomes in complex criminal investigations. Thanks to the investigation she led Ukrainian oligarch Dmytro Firtash is currently indicted by the U.S. for foreign bribery. As a reminder, in December 2018 the Anti-Corruption Action Center relaunched the Supervisory Board. British journalist and author Oliver Bullough, prominent Italian lawyer and prosecutor Giovanni Kessler, American philosopher and political economist Francis Fukuyama and editor-in-chief of Nashi Groshi website, journalist-investigator Oleksa Shalaiskyi joined it. More details. 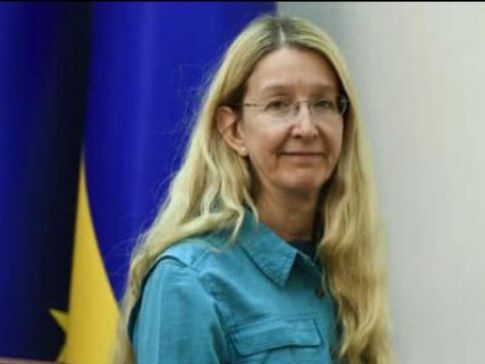 On February 5, Kyiv District Administrative Court suspended acting Minister of Health Dr Ulana Suprun from performing her duties. The judge Karakashian ruled that she could not serve as an “acting Minister” for more than one month, and also made mention of her citizenship. The court partly satisfied the appeal by the Radical Party MP Ihor Mosiychuk (who is under corruption investigation). This is a huge blow to the reform: without the acting Minister, medicines worth millions of dollars can’t be sent to patients, hospitals can’t receive funds and pay their staff. On Monday, February 11, the Ministry of Justice will appeal Dr Suprun's suspension. The hearing will start at 1pm at the address: 8 Petra Bolbochana Street. More info. On Friday, February 15, the court will start an examination on the merits of Mosiychuk's lawsuit (the hearing will start at 2pm at the same address). More details. If the final ruling is against Dr Suprun, the case can be appealed to the Supreme Court of Ukraine, but the process will take months and completely paralyze Ministry's work. Read more about the #SupportSuprun campaign of patients and doctors. Also, read Legal Threats to Minister Imperil Ukraine’s Health Care by Melinda Haring of the Atlantic Council. The decision to suspend Dr Suprun is anything but the first scandalous ruling of this court. It became the embodiment of unreformed judiciary, powerful it as considers disputes between citizens and the authorities. No judge from this court was dismissed during the Presidential judicial reform. Moreover, Poroshenko had to liquidate the court. He asked the permission of the High Council for Justice, received it, but then changed his mind at the last moment. Among court's other infamous decisions were to reinstate Roman Nasirov as tax administration chief, allow Berkut militia to raid Maydan in December 2013. 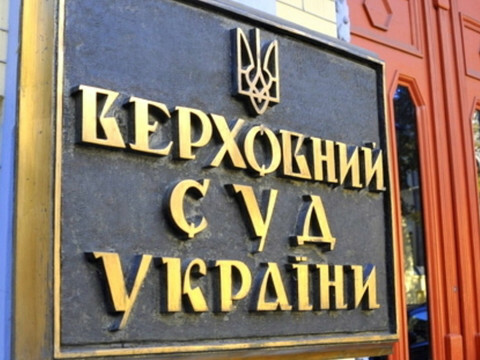 The court judges attempted to cover up the subjects of NABU investigations and ordered NABU to disclose their confidential memorandum with the FBI. More details. The second round of selections to the Supreme Court happens now. On February 12 the High Qualification Commission of Judges (HQCJ) will start plenary sessions for consideration of candidates who were negatively assessed by the Public Integrity Council (PIC). In general, out of 239 candidates, 69 received negative opinions of the PIC. Out of them, 50 candidates were already interviewed by the HQCJ panels, and only one third disqualified. The rest candidates, whom the PIC blacklisted and the HQCJ panels greenlighted, will be considered at the HQCJ plenary. More details. Over the week, the coalition of NGOs which promotes the anticorruption agenda among the presidential candidates met with Anatoliy Hrytsenko on February 4 and Yuliya Tymoshenko on February 7. Hrytsenko told during the meeting: "Key areas: refocusing the SBU from putting pressure on business to protecting the state, full support for anticorruption bodies instead of their discredit by the authorities, a system of incentives and punishment for corrupt officials. These points are all in my program. And these specific issues the activists prioritise too. That is why I supported the anticorruption agenda". Yulia Tymoshenko supported the necessity to dismiss SAPO head Nazar Kholodnytskyi, protect NABU, relaunch NACP and eliminate SBU anticorruption department. With regards to Kholodnytskyi, she stressed: "Our faction can support this draft law (on changing SAPO leadership), initiate its prompt consideration, and the new President can grant it urgent status. Our team can make such commitment." As a reminder, last week presidential candidates Volodymyr Zelenskyi, Dmytro Hnap and Andriy Sadovyi voiced their support for the agenda. This means that two out of three candidates, who are on top of public opinion polls, responded on the agenda. We are still waiting for President Poroshenko's response. 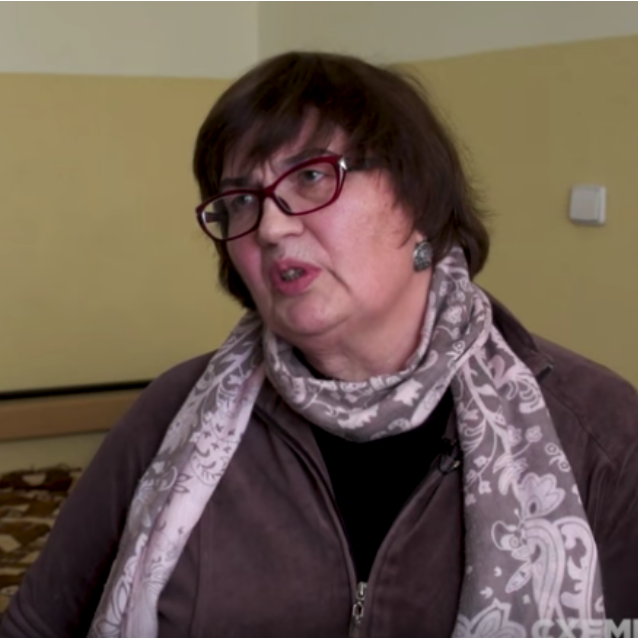 Huge pressure is exerted on the expert Nadiya Bugrova, who concluded that the corruption scheme involving the Minister's son and former deputy caused state losses amounting to around 500,000 USD. In November the national police had triggered a criminal proceeding against her, allegedly because she undervalued the property of the Ministry of Defense (though she had not conducted such forensics). The police searched her house and office, seized documents related to the backpacks case and others, in addition, took all family savings, bank cards, computer, and cell phones. After this, the 63-year-old expert got into the hospital because of heart problems, where she spent almost 2 months. In December she was handed a notice of suspicion upon absolutely bizarre charges of a 180$ fraud. Bugrova now faces up to 3 years in prison. Moreover, today, on February 8, an official of the Ministry of Justice arrived to check Bugrova and might even have suspended her forensics license should there be no public attention to the case. Bugrova gave the official a letter explaining she cannot show them her forensics documents as they had been seized by the police. The official, in the end, informed that she had to consult with her supervisors to decide how to act. We are extremely concerned by this intimidation campaign and consider it to be an attempt of the Minister Avakov to cover up tracks in the backpacks case and take revenge. For more details, please, see our release. On February 6, the Rada Committee on Economic Policy recommended for the first reading President's draft law No.9460. It suggests granting the right to conduct procurement for defence purposes during the state of martial law in one day with the unlimited possibility to change the price after the deal is concluded. The Anticorruption Committee has already recognised this draft law corrupt. Mode details. 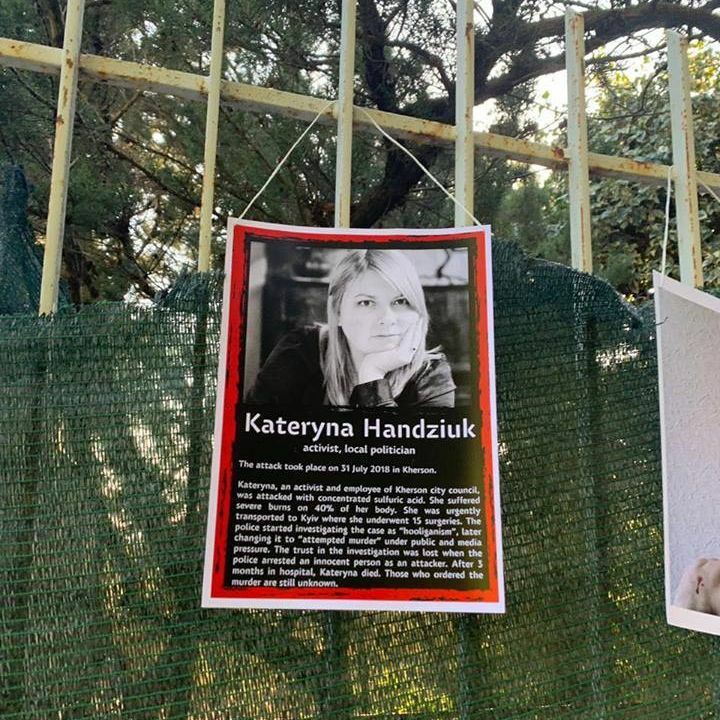 Activists, friends and relatives of the deceased Kateryna Handziuk call the head of Kherson Regional Council Vladyslav Manger one of the instigators of her murder. The official investigation has not named those behind the murder yet. They announced suspicion only to performers and organizers. The key suspect of organizing the attack is Oleksiy "Moskal" Levin. He fled abroad. The head of Kherson Regional Council Manger denies relationship with "Moskal"-Levin. However, "Schemes" journalists found out that one week before the attack on activist, Levin had received the recreation center on the beach directly from Manger's lawyer almost for nothing. Full text. 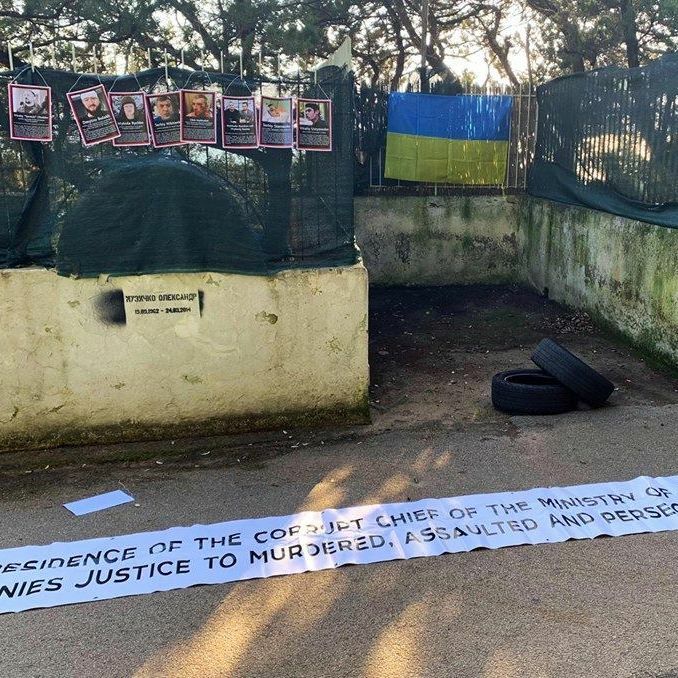 «The residence of the corrupt chief of the Ministry of Internal Affairs of Ukraine who denies justice to murdered, assaulted and persecuted activists and journalists». On February 6, the activists visited Arsen Avakov's Italian villa to remind him that dozens of assaults are still uninvestigated. 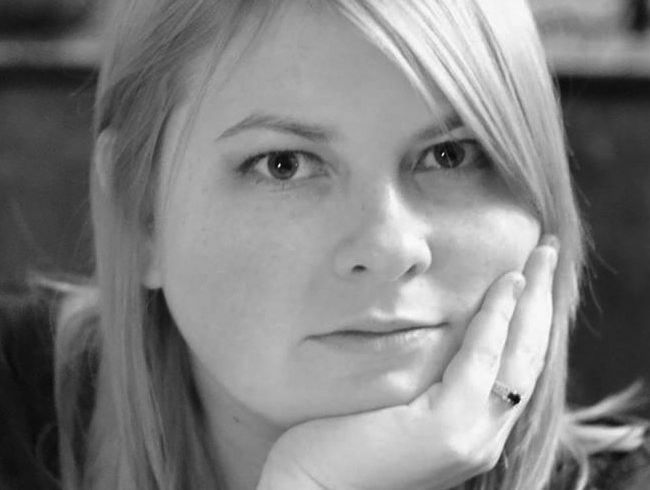 The journalistic investigation by "Nashi Groshi" about Avakov's house. Copyright © *2019* Anti-corruption Action Centre*, All rights reserved.